Comment: Vinyl siding damaged from weather. Need to be given a quote to move forward with insurance company. Comment: Wind damage tore off the aluminum trim on the upper section of the peak of my home. Approximately 15-20 feet tore off. I need these replaced. Comment: We have old shingles on the house, not even sure what they are made of, not really sure what we would like to replace it with, something low maintenance. We are in no great hurry, we are having a new well put in next week and we just had the inside of the home finished. Dryden Siding Contractors are rated 4.58 out of 5 based on 667 reviews of 10 pros. 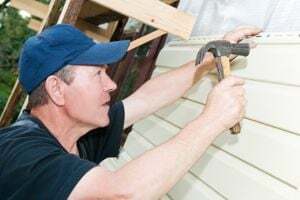 Not Looking for Siding Contractors in Dryden, MI?